Santa Fe, NM 87504In a four-way candidate race for an open seat, Renee Villarreal was elected to the City Council in March 2016. She is a native of Santa Fe and multi-generational New Mexican, and is deeply committed to community work centered on equity, social and gender justice, and self-determination. 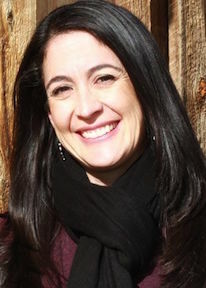 She has a Master’s degree in Community and Regional Planning from the University of New Mexico, and worked as a Community Planner for Santa Fe County over seven years, advocating for traditional and indigenous land-based communities. Renee also has extensive experience working in the nonprofit and philanthropic sector, serving in a program director capacity for over seven years, and has a strong sense of statewide and municipal issues affecting underserved and marginalized communities. Currently she works as the Program Co-Director for NewMexicoWomen.Org, the only program and fund in New Mexico that works to advance opportunities for women and girls statewide. Since elected, Renee has sponsored or co-sponsored policy measures and worked on community issues with an eye towards social equity, inclusivity, government transparency, and fiscal accountability. Since 2016, Renee has served on the Finance Committee, Public Works/Land Use Committee, Public Utilities Committee, Solid Waste Management Agency Board, the Mayor’s Youth Advisory Board, and is chairwoman for the Community Development Commission.